We have 7 spots on the list for Punahou Carnival Parking, but this one should be first on everyones list. Click the title for Google Map. Its just a short walk along the monkey pod lined Punahou St. and you are at the main carnival entrance. Heading back you can walk off the malasadas and teri-burgers you were supposed to save for later anyway, right? All the side streets will be packed and both left turn lanes on the Punahou exit will be slow, why not turn right at the exit, park, and stroll by all the cars still at the light? In addition to the close proximity they have security and if you keep your receipt....its a donation for tax purposes. One of the few locations that allows IN&OUT options for parking, be sure to ask the attendant. This location usually stays open till midnight if you plan on "closing the carnival down". The Maryknoll High School parking is run by various clubs and athletic groups fundraising for different events throughout the year. Literally one block from the main entrance to the carnival its grade school location is the only one closer. Support Punahou students and Maryknoll students all in one day. If you live west of Punahou St. or take the Pali Hwy, Likelike Hwy, H3, then this is the easiest "Im out of here!" parking. Right next to the freeway on ramp it cant be beat. This is it, the closest Punahou Carnival parking thats not on the street and legal. The map which can be viewed by clicking the title for more detail, shows the marker on Dole street but the entrance is via Alexander St. and the parking is closer to Wilder Ave. This parking is always sold out early, always. Run by the Sacred Heart Church & Saint Pius X Church you can visit their website for general information. Their Facebook Page also has up to date information and contact numbers. Just like the High School parking you will see signs the day of carnival with amounts and times. Too far you say? Hahaha! 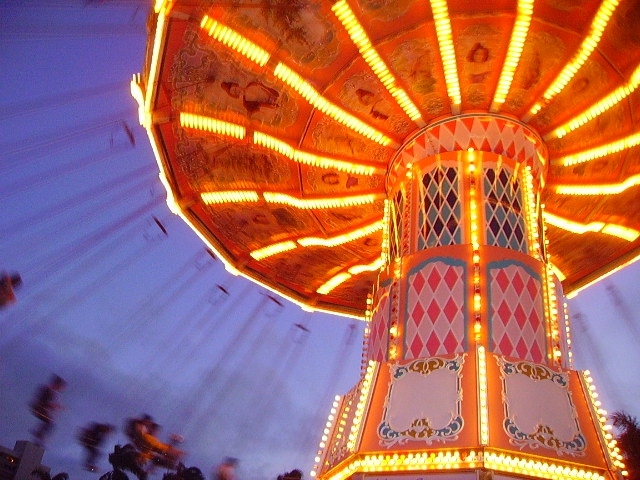 This must be your first time to Punahou Carnival. Join hundreds of others on a leisurely stroll through Makiki towards the carnival. You can head directly down Nehoa St., Dominis St., or Wilder Ave., all lead towards the good smells and carnival sounds. The Punahou Carnival parking fundraiser is their biggest of the year and helps support much of what they do. This is one of the few parking locations that allows an IN&OUT option if you need that. Come early and get your parking spot, leave, grab the kids from school and come back with your spot still waiting for you. They also offer a 2 day parking option if you are going on both days. Right on Punahou St. across from the campus this parking spot is not only close but usually the least expensive of those listed. There are two entrances available for parking at this location. Once entrance is on Dominis St. and the other is on Poki St., between Dominis and Nehoa (title is clickable for a more detailed look). This is one of the church's major fundraising events and benefits their music and youth programs. The have information with times and cost on their website here Lutheran Church of Honolulu. The easiest in and out parking if you are heading mauka on Punahou St. and the easiest exit onto the freeway heading east. This is another location that keeps their price low for an all event parking pass and supports a good cause. Probably the most beautiful place to park for Punahou Carnival. Know of any Punahou Carnival Parking spots we missed?